The club has a number of regular activities and as a member, we encourage you and your family to join in. 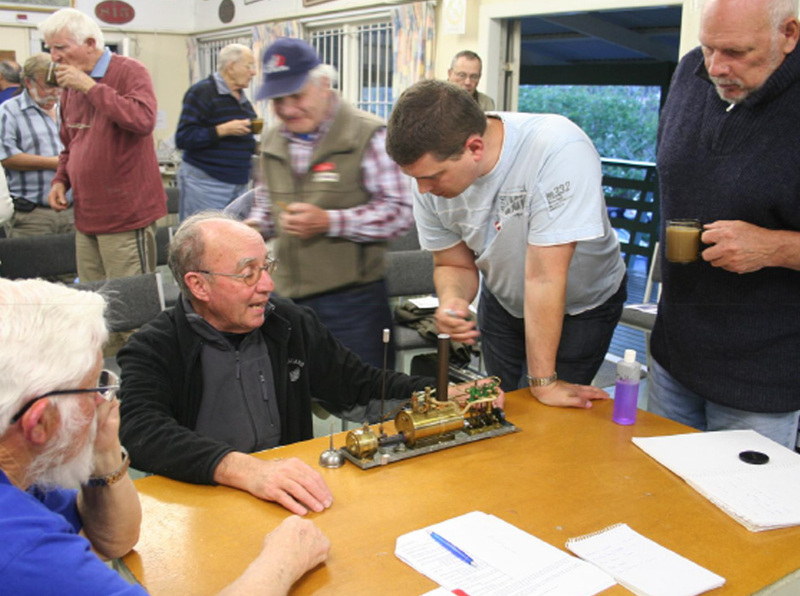 Meetings are held on the second Wednesday of each month at 7.30 p.m at the clubhouse in Mount Wellington. 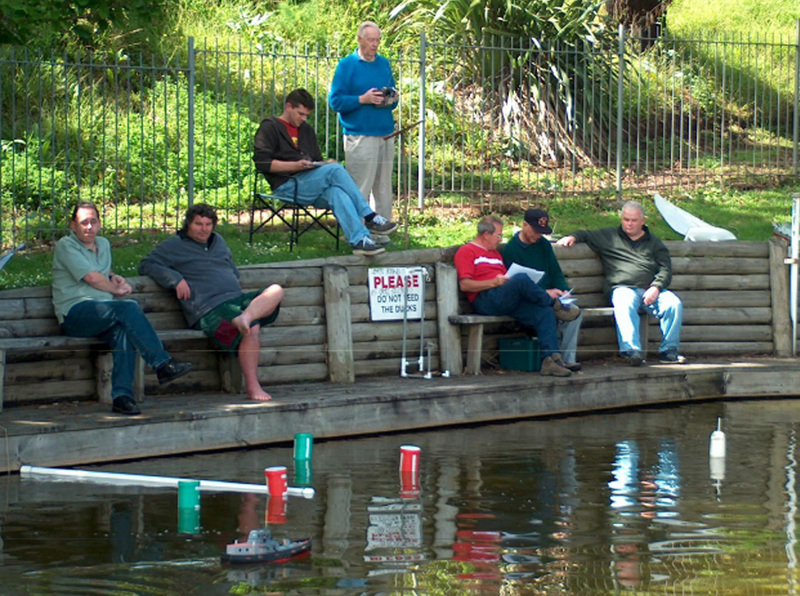 A feature of club night is the “Boat Table”. 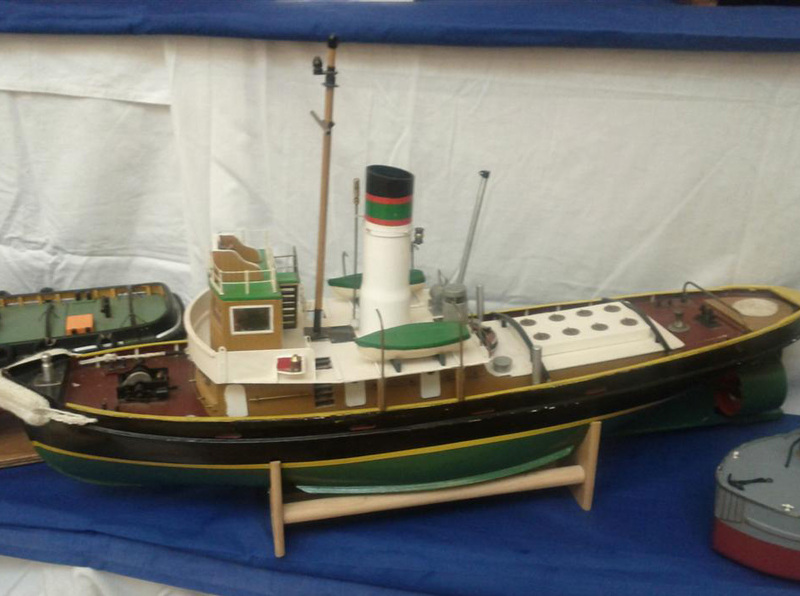 Members are encouraged to bring along models they are working on to be placed on the table. 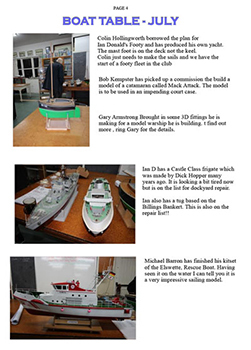 The member describes what he is doing with the model, including construction techniques and any problems he is having, with discussion and advice being freely received from the other members. 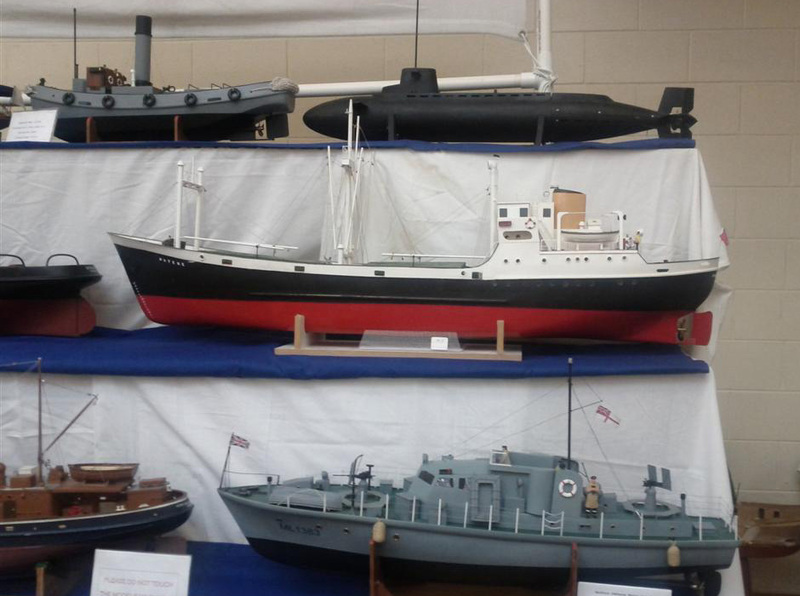 There is usually also a talk given by a member or invited guest on some aspect of the hobby. 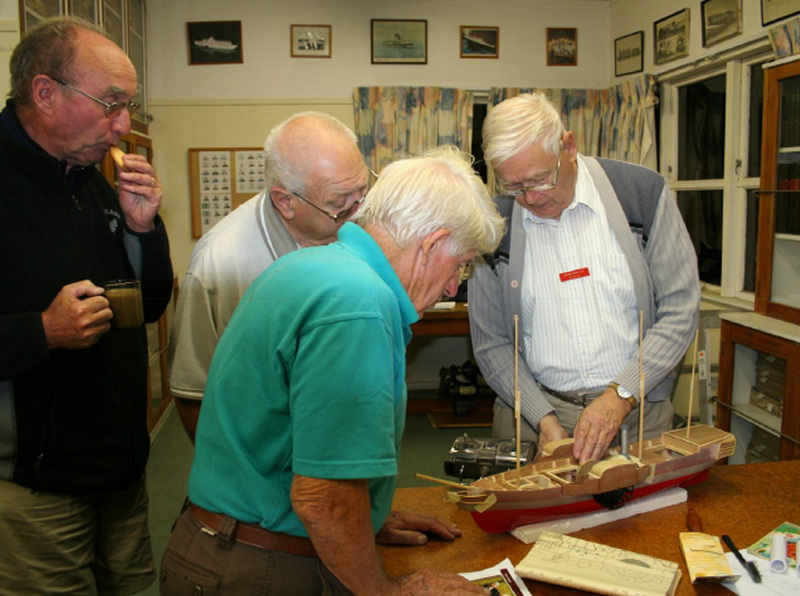 The evening finishes with supper and the opportunity to have a chat with others and to have a closer look at the boat table models. From time to time, members requiring help or advice can bring their models along and we hold a workshop. 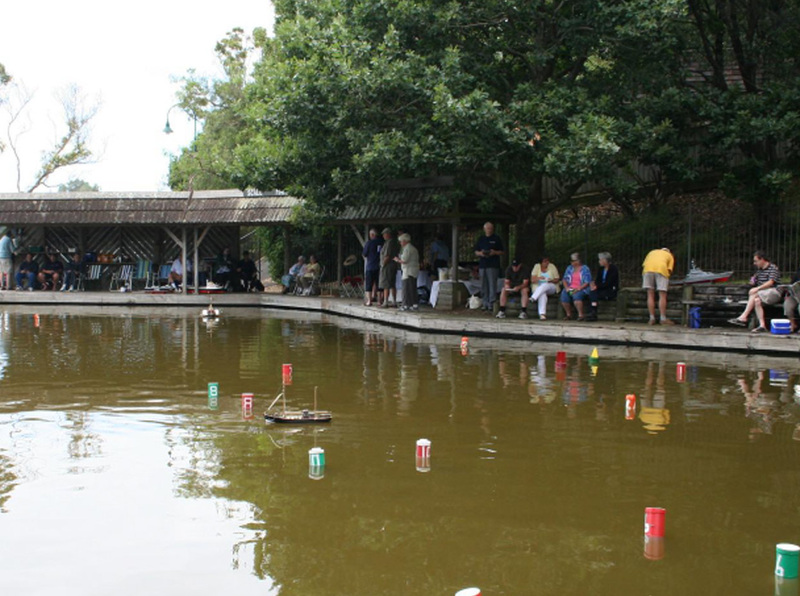 Members meet to sail on the club pool most Sunday mornings from 10am until approximately 3.30pm. Every 3rd Sunday is Competition Day from around 10am. 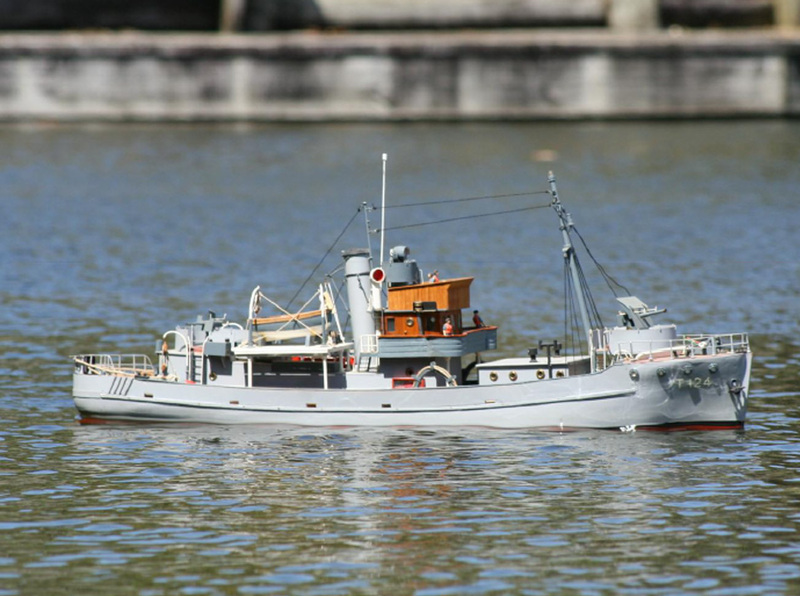 The competition provides members with a chance to operate their models through designated courses. 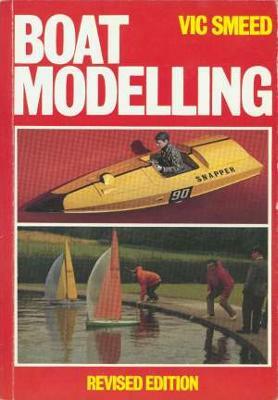 Society sailing rules apply and a frequency pegboard will normally operate to alleviate radio frequency interference. 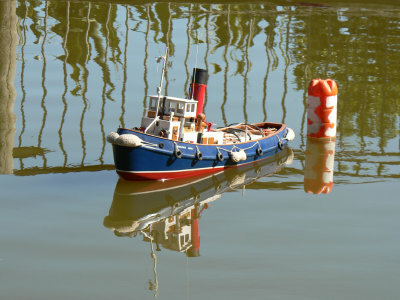 Twilight sailing is available on request. 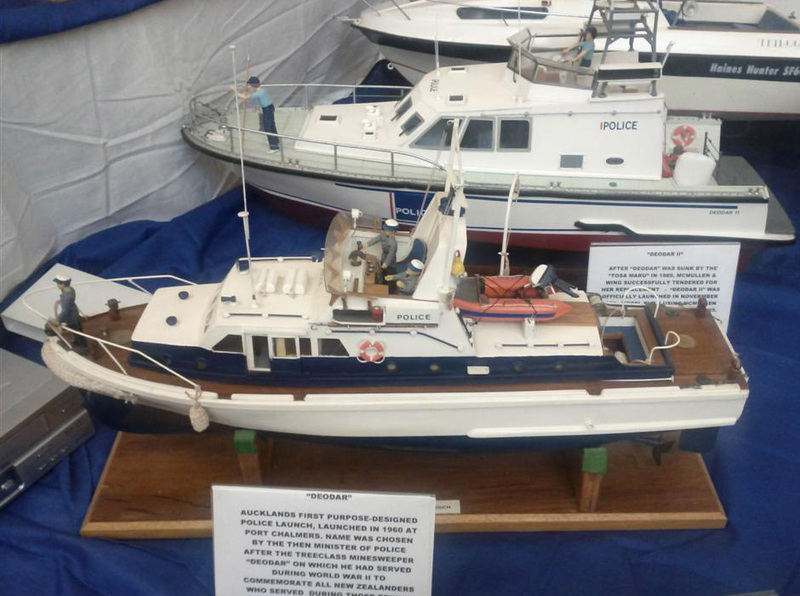 We take part in numerous events through the year including hobby exhibitions, boat shows & school galas and members are invited to display their models. 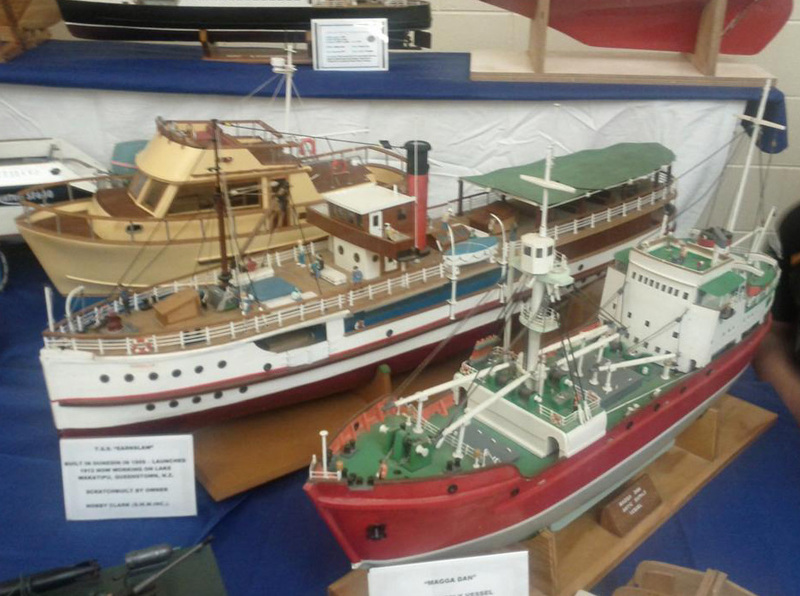 Exhibitions include Model X in Henderson, The Taupo Model Railway Club’s Expo, The Boat show at the ASB Show Grounds, The Panmure Basin Festival Displays and once a year we visit the Waihi and Cambridge clubs and to go to Hawera during Labour weekend for an annual regatta. 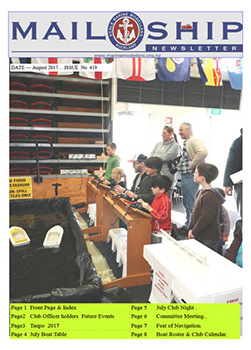 A monthly magazine is sent to all members and it includes club news, model building information, members articles and more. We are all encouraged to contribute to it. One of the society’s aims is to foster “family” participation in all club activities. We have seating around the pool and a grassed area where members can sit and watch the proceedings. 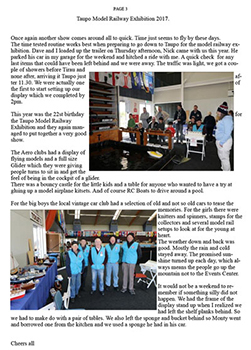 There is also a covered area to keep members and their boats reasonably dry in inclement weather and from time to time we may organise a BBQ in conjunction with special competitions. 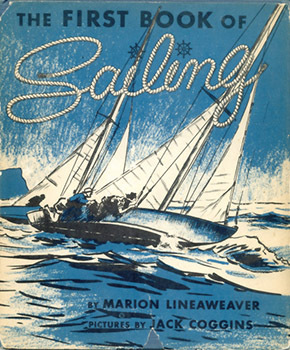 The society runs a library for members which contains books on all aspects of shipping. 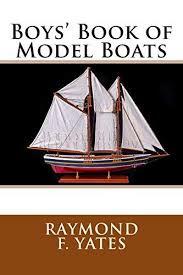 We also have a plan library which covers most types of vessels. The library is widely used by members and is growing all the time. Membership is open to everyone 14 years of age and over and all levels of experience are catered for. Full membership covers all members of the family & we invite the family to come watch even participate.